Patient voices are a central pillar of IPPOSI and we work to harness a coherent and critical voice towards promotion of patient and public involvement in health innovation. Health services in Ireland are including patient voices in decision making to a greater extent now than ever before. The HSE’s National Strategy for Service User Involvement 2008-2013, the National Patients Forum, the National Patient Experience Survey and the IPPOSI-led Patient Narrative project are examples. Furthermore, the Department of Health is working with IPPOSI and other relevant patient-led organisations in areas such as rare diseases, dementia and others. In health research, the Health Research Board is prioritizing Patient & Public Involvement (PPI) through its funding schemes and launched a capacity-building ‘PPI Ignite’ call in late 2016. In 2015, The Irish Health Research Forum defined PPI as a concept and process when individuals meaningfully and actively collaborate in the governance, priority setting, and conduct of research, as well as in summarizing, distributing, sharing, and applying its resulting knowledge. IPPOSI has facilitated PPI in a number of IPPOSI priority areas such as medicines development, connected health, ehealth and clinical research. Click on the toggles below to see examples of our PPI activities. 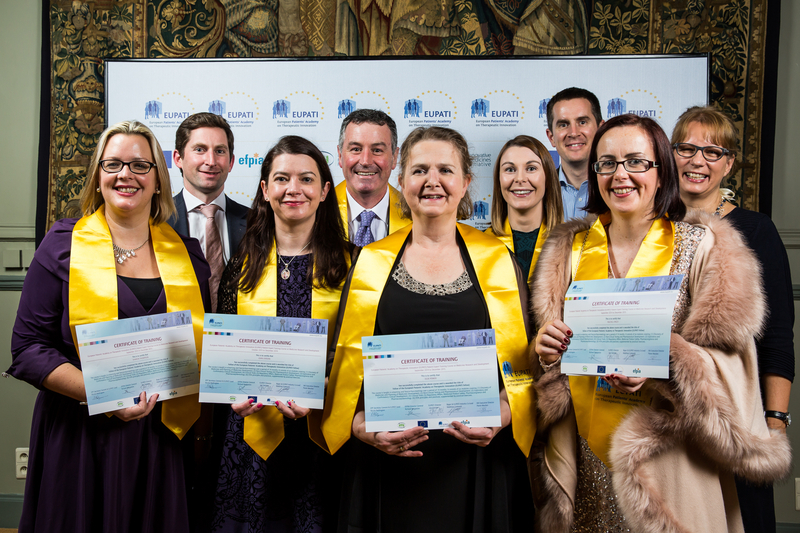 Through the EUPATI Patient Academy, IPPOSI facilitates the training of expert patients in medicines development through an intensive fourteen months of e-learning and face-to-face training sessions on the medicines development and research process. EUPATI-certified patient experts are equipped with the knowledge to make meaningful contributions to medicines research in Ireland and across Europe. We envision that their existence will help foster more initiatives to train more patient experts and accelerate the wider debate on patient empowerment among key stakeholders. In 2017 IPPOSI – in partnership with UCD, TCD and HPRA – established the (pilot) IPPOSI Patient Education Programme. Go here for a list of successful applicants. Under the EUPATI programme, IPPOSI has been responsible for the creation of National ‘IPPOSI-like’ Platforms in over 19 European countries to date, including Ireland. The Irish EUPATI National Platform is housed within IPPOSI, where we establish a series of activities to to investigate the types of patient involvement opportunities which may be available to patients and members of the public in Ireland. These activities involve reaching out to IPPOSI members, as well as key national health partners with an interest in partnering to support patient education and patient involvement initiatives. Any Irish organisation interested in promoting their own opportunities for patient involvement in medicines research & development should contact the IPPOSI office at infor@ipposi.ie or 01 479 0552. In the run up to the Connected Health & Me conference in November 2014, IPPOSI facilitated the establishment of patient / researcher teams as part of the ‘health hack’ component of the conference. The Health Hack concept promotes inter-disciplinary creative thinking by bringing together the key stakeholders in healthcare, and this is what unfolded at the conference. The patient-researcher teams developed their ideas in advance of the session with a view to identifying a ‘problem statement’ – i.e. the patient problem for which they would together try and identify a connected health solution – in partnership with conference delegates. The relationships that developed as a result were not only confined to the conference. For example, one of the patient organisations – Move 4 Parkinson’s – began work on a separate Connected Health project as a result of being brought into contact with connected health researchers. This is precisely the kind of relationship and outcome that IPPOSI aims to foster and encourage. With that in mind, IPPOSI facilitated the development of further patient-researcher relationships in the area of connected health via the ENJECT training programme (you can read more about that here) and through relationships with the ARCH initiative in UCD (read more about that here).